Alex Caffi Motorsports increases its commitment ahead of the fourth round of the 2018 NASCAR Whelen Euro Series. Tours (France) will host the only race on oval outside North America, from Friday 29th June to Sunday 1st July. The team boss, former F.1 monegasque Alex Caffi, enters for the first time a three-pronged line-up: In Elite 1 the number 33 Chevrolet SS of Frenchman Lucas Lasserre, winner of race 2 at Franciacorta, joins the team. A double stint for Japanese Kenko Miura with the Toyota Camry, In Elite 1 where he is fresh from victory in the challenge ranking at the previous race of Brands Hatch and in Elite 2, where he was on the Rookies' podium. 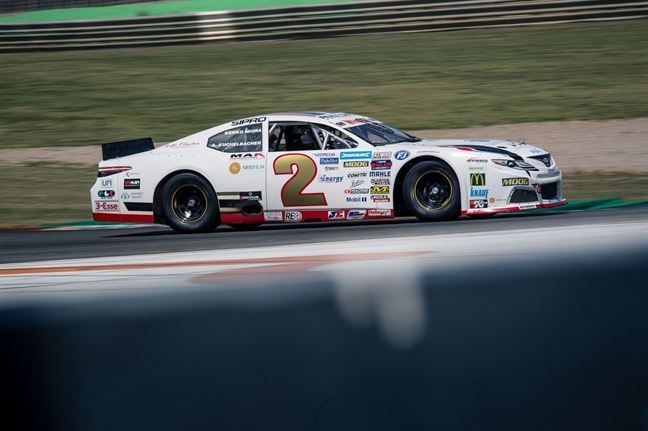 Also in Elite 2 young spanish Carmen Boix will step on the Chevrolet SS, to hunt new successes among the Ladies in addition to high-ranked overall places, and Pier Luigi Veronesi, an italian with previous experience in the series, will make his debut on the team's Ford Mustang. An unprecedented three-pronged line-up, reinforced for this occasion by the experience of American engineer Dean Klock a great expert of the ovals and cars of the NASCAR Whelen Euro Series, with 5.7-litre, 450 Bhp Chevrolet engines, a weight of 1,200 kg and rear-wheel drive, guarantee of spectacular wheel-to-wheel duels and great racing. The race weekends are visible in live streaming on the NASCAR Whelen Euro Series website. Alex Caffi said “We will have plenty of news in Tours: we will provide technical assistance to the Chevrolet of Lucas Lasserre, who will share the car with Carmen Boix, while Kenko Miura will be at the wheel of the Toyota Camry to continue his progress. We will also welcome an Italian, Pier Luigi Veronesi, who will drive the Ford Mustang in Elite 2. For this race we will have an increased staff with also the support of Dean Klock, an award-winning American engineer whose experience of the oval tracks will be of great help to continue the positive performance trend shown since the beginning of the season”. The race weekend on the oval of Tours (France) will begin in the afternoon of Friday 29 June with qualifying, in a format inspired by the Daytona 500, the results will then divide the drivers between Semi Final 1 and 2. Saturday 30 June, as well as Sunday 1 July, both the Elite 1 and the Elite 2 will contest two semi-finals of 35 laps or 20': the first 10 classified of each, in addition to the top 10 in the championship standings, will have access to the final, over a race distance of 50 laps or 30 '. 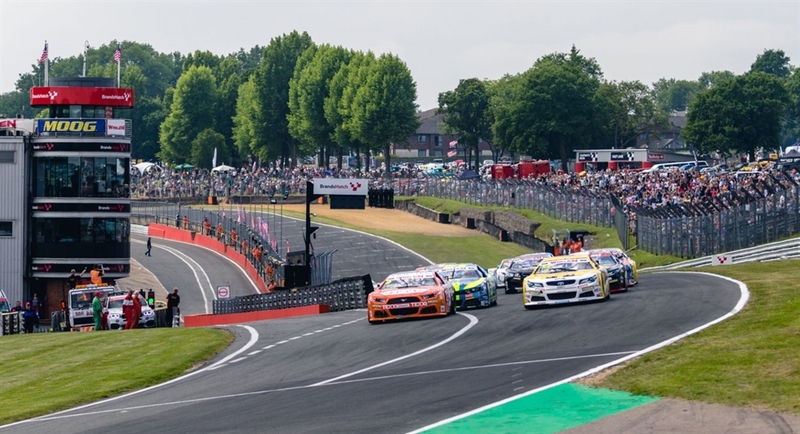 2018 NASCAR Whelen Euro Series calendar: 13-15 apr Valencia (E); 18-20 may Franciacorta (I); 8-10 jun Brands Hatch (UK); 29 jun – 1 jul Tours (F); 14-16 sep Hockeneim (D); 19-21 oct final Zolder (B).